Malwares are quite common nowadays. Earlier they were intended to attack laptop users. But in the present days Malwares are intended to attack both laptops as well as other smart devices. Many viruses like Trojan are designed to attack Android devices also. So it is high time to download and install certain mobile security as well as antivirus applications, if you would like to have your credentials safe and secured. In this article we have shortlisted the best available antivirus and security applications which can be used in Android devices. CM Security better known as Clean Master is an award winning security option. 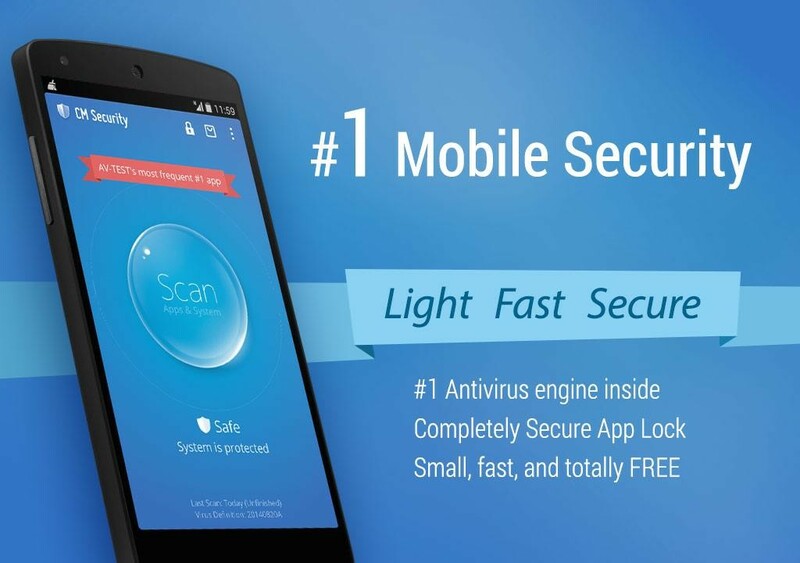 It is the best malware protection available for Android. This application is developed by Cheetah Mobile. It is a company that provides authentic reports on the position of Android platform. CM Security app is fast in its functioning and gives a comprehensive protection to the device as whole. 360, earlier known as Qihoo which is a popular Android based antivirus application with all the basic features needed to protect your device. 360 Security automatically scans each file and folder in your handset and also update automatically. When downloading and installing whether from Play Store or some other source, each application has to pass through 360 Real-Time Protection. Apart from protecting your smartphone from junk files, 360 also cleans the unwanted files from your device and helps in freeing up the RAM. This app is also loaded with power saving options also. Kaspersky is a much familiar face in PCs. Now it has the mobile version too loaded with similar features which makes it one of the finest internet security app. 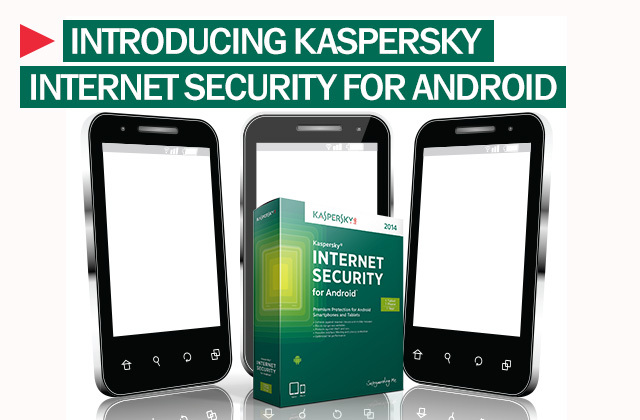 Kaspersky provides a free mobile version which is loaded with basic antivirus features. This application is also loaded with anti-theft features also. The Premium version comes with subscription fee of US$14.95 per year. With the premium version you also receive an additional anti-phishing protection for text messages, privacy protection and cloud protection especially when you are browsing over internet. Malwarebytes is best known as the lightest antivirus tool available for PC. The Android version of the same is available at free of cost, mostly intended on easy to use rather than including maximum features. This antivirus provides malware protection, also loaded with privacy manager and also scans those apps which behave skeptically. The developers of Malwarebytes have cared to join the application with Android Device Manager, thereby adding remote tracking or anti-theft feature along with the antivirus suite. 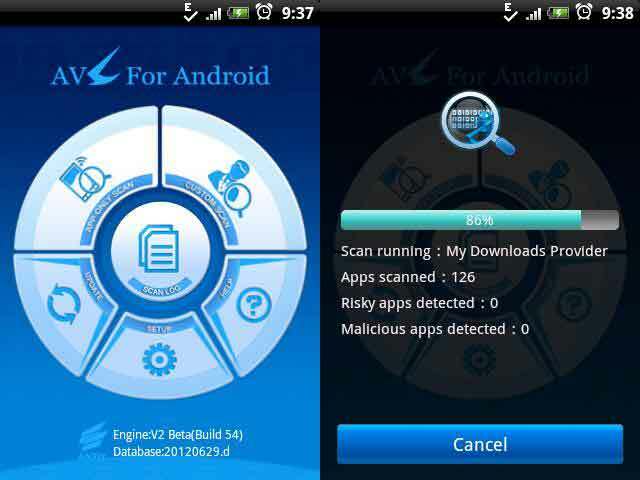 AVL antivirus is one of the efficient Android Security application loaded with in-built user interface. Unfortunately this application doesn’t offer much advanced security features but of course loaded with basic features similar to other apps. AVL antivirus is too simple that it won’t drain your battery or affect the performance of your device. AVG Antivirus comes without any subscription amount and protects your handset from malicious applications, spywares and other viruses. With this antivirus software you are able to review your applications along with its files, settings and lot more. This antivirus application is also loaded with an option to close those applications which slows down your smartphone or those drain your battery extensively. This application is also loaded with an option to delete your credentials in case of losing your device and even helps in locating the handset with the help of Google Maps. Norton Security Antivirus is a subscription free application that prevents and deletes viruses.If you are ready to pay for the Premium version then you may get advanced features like locking your device and Sneak Peak, which snatches the images of persons who uses the smartphone after you indicate it as stolen. The Premium version is also loaded App Advisor, which checks various applications for privacy risks, high battery usage and other skeptical behavior. With the help of avast! in your smartphone you are able to perform automatic scan of installed applications, other files and folders in your memory card and other applications that you are about to install. avast! is also loaded with SMS or call filtering. If the device is theft, avast! provide for remote lock, wiping out data options, loaded with GPS tracking, siren alert and even gives some notification, if anyone tries to insert another SIM card. Certain other features include firewall option, network meter and web shield.